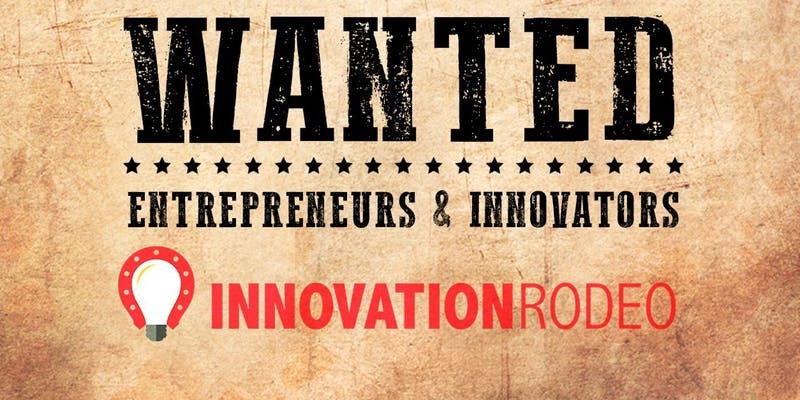 Join 150+ like-minded Entrepreneurs, Innovators, and problem solvers at Calgary's 3rd Annual Innovation Rodeo. Join 150+ like-minded Entrepreneurs, Innovators, and problem solvers at Calgary's 3rd Annual Innovation Rodeo, where you'll learn from speakers and panellists about how to start a successful business and how to add new products or services to an existing business. We give away cash to winners of a pitch competition, and we give cash to teams with the best solutions to Innovation Challenges provided Tuesday to Thursday. You do not need to attend all three of the day's events. Feel free to come for lunch and take in the Innovation Challenge or take in the Innovation Challenge and stay for the Entrepreneurship pitch-offs, beverages, and networking.